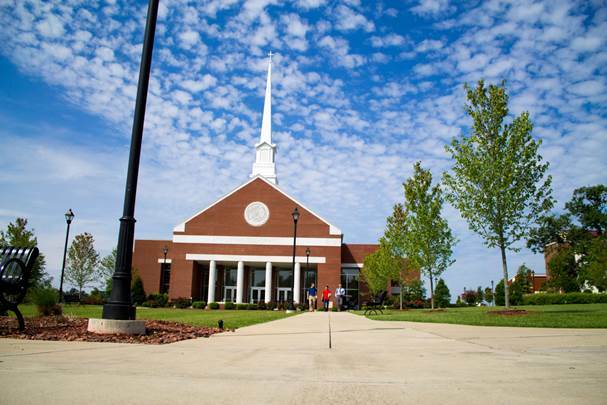 CAMPBELLSVILLE UNIVERSITY is a comprehensive, Christian institution that offers pre-professional, undergraduate and graduate programs. The university is dedicated to academic excellence solidly grounded in the liberal arts that fosters personal growth, integrity and professional preparation within a caring environment. CU values include fostering acadademic excellence through pre-professional certificates, associates, baccalaureate, and graduate programs through traditional, technical, and online systems, to provide an environment conducive for student success, and modeling servant leadership and effective stewardship. The university campus is centrally located with key businesses including restaurants, convenience and drug stores, a laundry mat, health food store, apartments and coffee shops all within walking distance of the campus. The CU Center for International Education is pleased to announce Campbellsville University currently has the largest population of international students of all private institutions in Kentucky. Approximately 23% of students living on campus are international. CU's English as a Second Language program currently has 63 students from 12 different countries. The ESL department has planned several fieldtrips this year for the students so they can experience firsthand the beauty and culture of our wonderful state of Kentucky. CU's ESL Endorsement Program is growing, with again, a record number of students. We are currently working on opportunities for our students to teach English to children in different countries. This hands-on experience will be the first of its kind for CU students. A Master's in TESOL Program has begun this fall as well. We are excited to be able to offer this program as it is only one of two such programs in the state of Kentucky. Our students have the opportunity to gain experience teaching ESL by doing their praxis here on CU's campus. We are in the planning stage for an ESL summer camp for international high school students. The students will not only be learning English but have time to play sports, learn crafts, make new friends and hang out with our instructors. It will be great fun giving students the opportunity to learn English in the United States while also learning about our Kentucky through weekend fieldtrips.